We were choosing a game for an upcoming kids party and tambola (or housie or bingo depending on which part of the world you live) was a clear and unanimous choice. The rules of game are simple, you can download the PDFs and print the tickets at home and even adults are likely to enjoy this game. The regular tambola tickets contain numbers but for this party, we wanted a little variation. How about replacing numbers on the ticket with the more visual emojis (see example) that almost everyone can instantly recognize now thanks to the growing popularity of Whatsapp, Facebook Messenger and other instant messaging apps that all support these emoticons. There were no online generators that supported Emoji tickets so I put together a little PHP script that outputs the Bingo tickets using Emojis instead of numbers. If you would also like to try this, go to ctrlq.org and hit the “Ticket Sheet” button to create your own tamobola sheets. It generates a set of 2×5 tickets and you can create as many you like. They’ll all be unique. 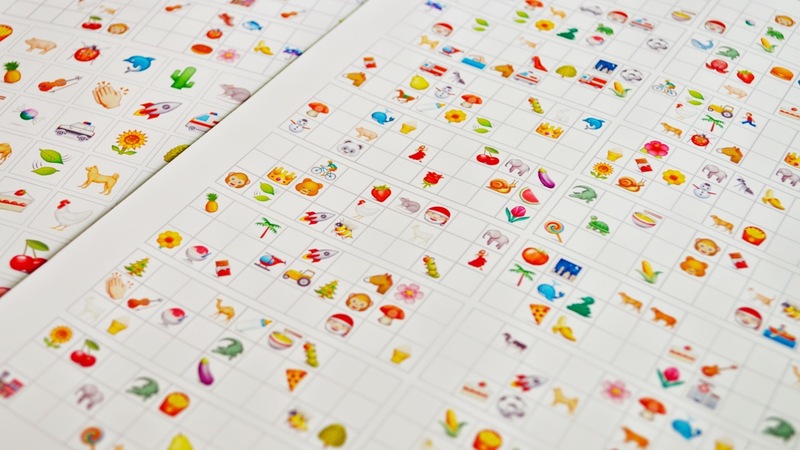 Here’re some photographs of the Emoji tickets printed on photo paper. The full emoji sheet can be downloaded from imgur.com.